Travel is becoming more accessible for everyone, no matter what your budget may be. While this growing accessibility is a positive, the hazards that come along with it can really ruin your travel experience. When it comes to travel scams, more and more people are being targeted when booking on their personal computers and smartphones. You will almost never pay the first rate you see on an online travel booking site. Whether you are booking a plane ticket, a hotel room, or a rental car, if it seems to good to be true (and doesn’t come from a real-life travel agent), it probably is. If you do run into this, keep clicking to find the real rate. This is often hidden until the very end. And yes, it’s totally legal for them to do this online. It is also a good idea to read the fine print, or the “terms and conditions”, whenever you book a travel-related item online. You may be subject to additional fees. In addition, the quoted price that you paid may not include all that you would think it includes. To avoid any confusion on price, book with a trusted travel agency. They can give you exact prices upfront. This is a relatively new online travel booking scam. Rather than targeting your social media accounts, this scam targets your inbox. 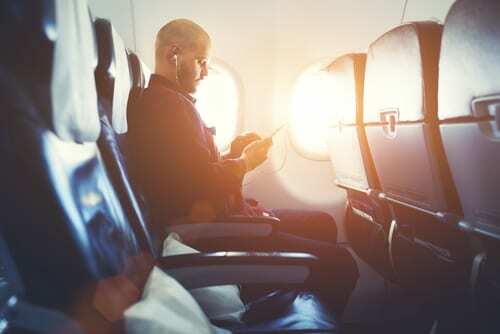 Here’s what to look out for: In the weeks or days leading up to your planned trip, you might receive an e-mail that looks as if it comes from an airline. The email may state something along the lines of, “your tickets are not yet confirmed”, and will direct you to a website to login in order to confirm. The provided link will bring you to an official-looking site, and you will be asked to confirm your itinerary and passenger name record, or PNR. You may also be asked for your frequent flyer account information. Once you do this, the scammer has everything necessary to steal your frequent flyer miles, or even worse, hijack your ticket! To avoid this, do not click any links which ask you to provide information like this. Call your airline or your travel agent if you receive an email like this and it seems fishy. It is also a good idea to change your password on your frequent flyer account. This is a very common online travel scam. Here’s how it works: This is most prevalent on social media platforms, like Instagram or Facebook. A message will come up on your feed which claims you can win two free airline tickets if you click on the enclosed link and forward it to friends. How do you avoid falling for this trap? Luckily, this scam is pretty easy to pick out. You will want to check for misspellings in the page name or titles like “Official Page”. Look for a blue checkmark which indicates the page is, in fact, official, and has been validated by the social network platform. Also, an actual contest will never ask you to re-sign into your social media account. If the “contest” asks you to do this, don’t click on it! In conclusion, while booking online may seem convenient and safe, there is actually a lot to watch out for. Your security is important, and you don’t want to give your credit card or other personal information to any online travel website. Your best bet is to book with a reputable travel agent! For the most secure and hassle-free travel experience, call us today at 402-281-3022.